The origin of the South Coast Chamber of Commerce and Industry can be traced to about 65 years ago when the South Coast was characterised by several independent towns. Many of the larger towns eg. Margate and Port Shepstone had their own Chambers of Business, catering for their different needs. In the 1980’s, there was an amalgamation of Chambers to form the Hibiscus Chamber of Commerce and Industry. A subsequent renaming of the Chamber to the South Coast Chamber of Commerce and Industry took place in the 1990’s to identify the Chamber as the representative body of businesses on the entire South Coast. The Chamber has had a proud history of undertaking many projects, representing business at local and provincial government level and largely being the body which worked with several private and public-sector institutions to keep the business sector connected to the various developments in the economy. Recent years have seen the Chamber face many challenges to its survival but the Chamber has emerged with a new vigour and sense of purpose to serve its constituency. 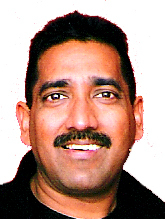 At its most recent elective executive meeting in April, Vijay Naidoo of Leo Strategic Solutions, was elected to serve as president. 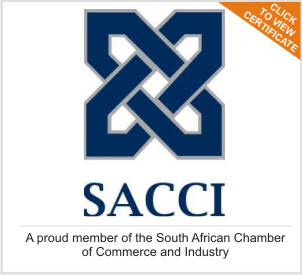 For the past many decades, the South Coast Chamber of Commerce and Industry has been affiliated to SACCI (South African Chamber of Commerce and Industry). To be an energetic and visionary organisation representing business on the South Coast of KwaZulu Natal; leading our region into prosperity for all who live in it. Mission Statement Our mission is to promote business success by being the leader in economic and community development in the region. The South Coast Chamber of Commerce and Industry addresses all the economic, social and political issues affecting the business community in one way or another. The chamber movement is apolitical. It is “the voice of business” and it ensures that this voice is heard where it matters – where it is necessary to protect the interests of business, at local, regional and national levels.